The concept of beauty has been revolutionized, especially in this era of new ideas and discoveries. Before, the word “beautiful” was only used to refer to skinny, fair-skinned, long- and straight-haired women. In comparison, the modern idea of beauty goes beyond these stereotypical notions. Modern perspectives on beauty consider people of all shapes, sizes, complexions, and features as beautiful. It also eliminates the prejudice against women who wear make-up. Today, you are encouraged to do what makes you look and feel good, whether that means wearing make-up or trendy clothes. Along with this progress in the perception of beauty came various developments in the cosmetic industry. More and more inclusive options are becoming available for people with different ideas of beauty. Fenty Beauty, launched in 2017, is known for its wide-ranging products across various skin tones, while Milk Makeup became popular for its celebration of gender fluidity and freedom. Of course, this development also brought about the use of progressive ingredients in order to innovate the cosmetic cannabis products. One of these newly incorporated ingredients is cannabis. A simple internet search will lead you to newly established cosmetic shops peddling a wide selection of cannabis-infused items. These are hip, start-up businesses that aspire to share their love for both industries, beauty and cannabis. However, not every brand that comes up in your search will be an unknown one. In fact, you might even encounter the likes of “Sephora’s High” Beauty Powered by Cannabis. The recent launch of High is a huge leap for the plant in the beauty sector, especially because Sephora is a multinational chain, furthering the mainstream use of this herb and cannabinoids. You might be wondering how cannabis beauty emerged. Perhaps one of the most common reasons for this innovation is the discovery of the benefits of CBD and THC. Yes, you read that right. Both major cannabinoids contained in the marijuana plant offer positive effects, especially when used together. On the one hand, the non-psychoactive CBD component is known for its medicinal properties used to treat mental disorders, cancer, and other debilitating symptoms and conditions and, on the other hand, the psychoactive THC has a sedative effect, as well as pain-relieving and mood enhancing effects. GW Pharmaceuticals doctors, Ethan Russo and Geoffrey Guy, found that specific ratios of CBD and THC can improve the medicinal effects of the cannabinoids. This discovery led to significant changes in the public’s perception of marijuana. Today, more and more people are using cannabis. In fact, an estimated 37 million Americans used this plant in 2017. You can bet that this number increased, especially with more states allowing for the medicinal use of the herb. Keep in mind that as of 2018, 33 states legalized medicinal marijuana, nine states now permit the use of recreational marijuana, and only three states have entirely prohibited any type of use. Furthermore, the recent passing of the Farm Bill through Congress saw the legalization of hemp, the fiber-rich and industrial variety of the plant. This bill is expected to be signed into law shortly, signifying another win for various industries that make a living out of the plant. The sudden boom in the cosmetic industry, combined with these recent developments, has cemented the plant’s entrance into the beauty world and vice versa. Regular beautifying products are preferred as they have proven to be effective. What if we tell you that marijuana cosmetics are just as effective as their ordinary counterparts? Beauty writers, Lindsey Unterberger and Samantha Sasso, attest to the effectiveness of cannabis-infused cosmetic items. Replacing her beauty regimen with marijuana-infused items, Lindsey found these new products to be just as effective as the ones she usually uses. Samantha gathered reviews from various individuals who further testified to the positive, if not better, effects of the CBD-infused products. Due to the sudden increase in the number of marijuana-infused cosmetics, it is extremely easy to find the product you need, and you can now assemble your full beauty regimen from products mixed with cannabinoids! From toners and moisturizers to foundations and mascaras, you are sure to find a cannabinoids-infused alternative. Other items to look out for include lipsticks, creams and balms. 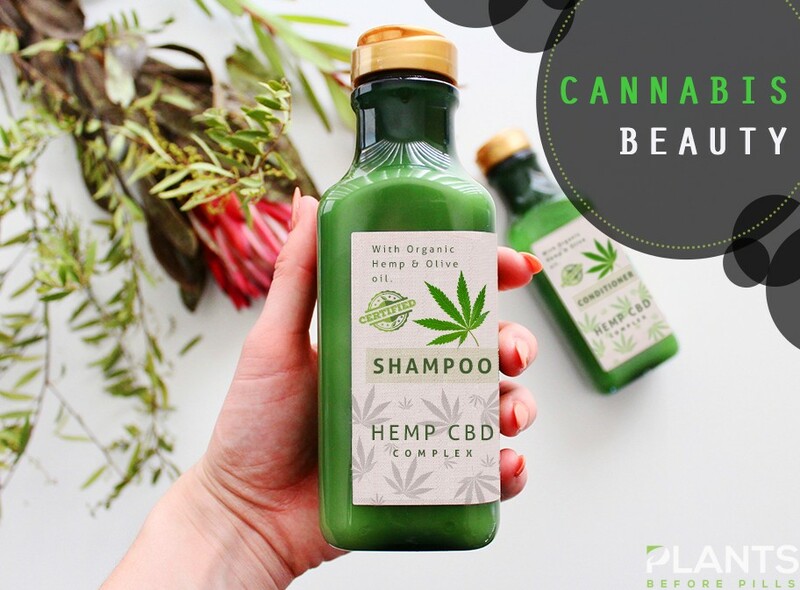 You can even get CBD lotions, shampoos and body wash. So, products made with this plant work as well as regular ones, and you have a huge range to choose from. The next thing you may want to know is whether or not the alternative will offer an improvement over the products you are used to. The answer is yes, these CBD (and sometimes, THC) cosmetics will not only help you achieve the level of beauty you aspire to but will also expose you to a wide range of advantages. One of these advantages is taking care of your skin. Many ordinary products can clog up your pores and leave skin feeling dehydrated and tired. However, cannabinoids have hydrating qualities specifically because of their regulating properties. These compounds can nourish your dehydrated skin while minimizing excess sebum production. Skincare is only one of the many benefits of cannabinoid-infused cosmetics. What makes these cosmetics even better than their conventional counterparts is their medicinal effects. Because CBD and THC have anti-inflammatory and pain-relieving properties, you can rely on these items to treat acne flare-ups, minimize pimple attacks and even alleviate itches and pains. For those hesitant to use brands they are not familiar with, your best bet is to give Sephora’s High products a try. High Five Cannabis Seed Facial Moisturizer is perfect for all skin-types. Whether you have dry, oily or combination skin, you are sure to find this product effective. It can help give you smoother, more radiant skin, all the while solving your dryness or oil problem. Its sister product, High Expectations Cannabis Seed Facial Oil, is ideal if you’re looking to give your skin healthy antioxidants. This is most suitable for sensitive skin as it does not have any harsh effects. The best thing about these two products is that they do not produce any psychoactive effects. Moreover, they are free of harmful chemicals such as parabens, sulfates, and phthalates; they’re also cruelty-free and vegan-friendly! If you love dolling up your eyes while using natural ingredients, this item is a must for you. The cannabis oil derived from hemp facilitates hydration, making your lashes healthier, thicker and more voluminous. People who advocate for animal rights will be glad to know that this product is vegan-friendly and cruelty-free, just like Sephora’s new line. You can also try this with Kush Fiver Brow Gel for fuller and more defined brows. Many people focus on their facial skin when doing their daily beauty routine. Little do they know that they are neglecting one of the most noticeable features on their faces: their lips. Cracked and chapped lips can lower your confidence, significantly affecting your overall self-esteem. Good thing you can use this lip balm to moisturize your lips and soothe any signs of inflammation. Having cracked skin on your hands can be painful, especially as you use your hands for almost everything you do. For soft, nourished hands, get a tube of Body Shop Hemp Hand Protector hand lotion. This hand protector will not only soothe and rehydrate your hands but protect them too from getting dry and damaged. Nothing beats maintaining your hygiene while ensuring the health of your skin. If you are looking for a product that not only cleanses but also moisturizes, this one is for you. Infused with amino acids and cannabinoids, this foaming gel can make your skin softer and more fragrant. These are only some of the options available to you if you are wanting to try out cannabis-infused cosmetics. 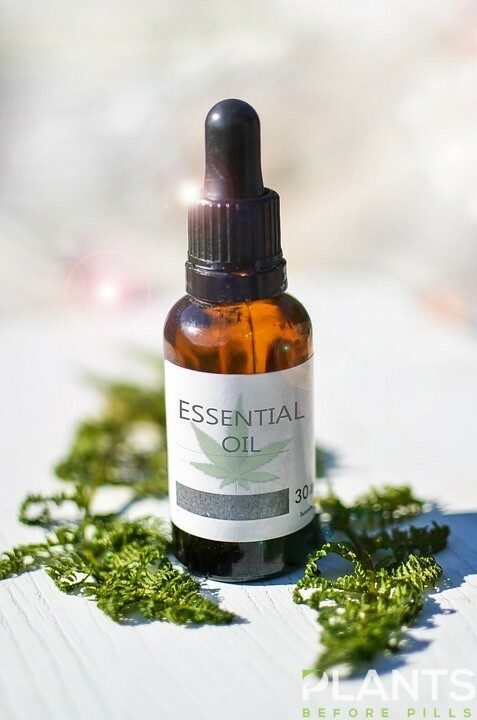 You might want to check out other products such as scented candles, perfumes, and cannabis tinctures for various effects and purposes. This way, you are on your way to taking advantage of the goodness the plant has to offer all the while looking and feeling good. Cannabis’s entry into the beauty industry scene, and vice versa, has proven to be a significant development in both sectors. With more people opening up their minds to the many uses of marijuana and hemp, trying out these products can do you no harm. In fact, you can start living your best life with these items in your arsenal. Give them a try today and see for yourself!